Posts tagged "how to save money on a yacht charter"
Presenting the creative crew of a popular Virgin Islands yacht charter vessel. They are greener and eco-friendly. They also save their customers money. Many guests eat a meal or two ashore during a week-long yachting vacation. Therefore, sail catamaran SILVER MOON announced a half board food option. A typical all-inclusive charter features 3 meals a day. The half board option exists. It includes all breakfasts. It also includes 3 lunches and 4 dinners with beverages, the standard ship’s bar, and snacks. That said, all other meals are taken ashore at the guest’s expense. “Part of the attraction of a yachting vacation is the chance to indulge in local customs and foods. Sometimes, fresh food on the yachts goes to waste as the clients tend to eat ashore two or three times a week in the various ports of call. The half board option cuts down on waste, preparation materials, and cleanup,” explains Sheeder. Clients save money. The overall cost of the boating vacation can be reduced. It can then reflect the fewer meals and food served onboard. 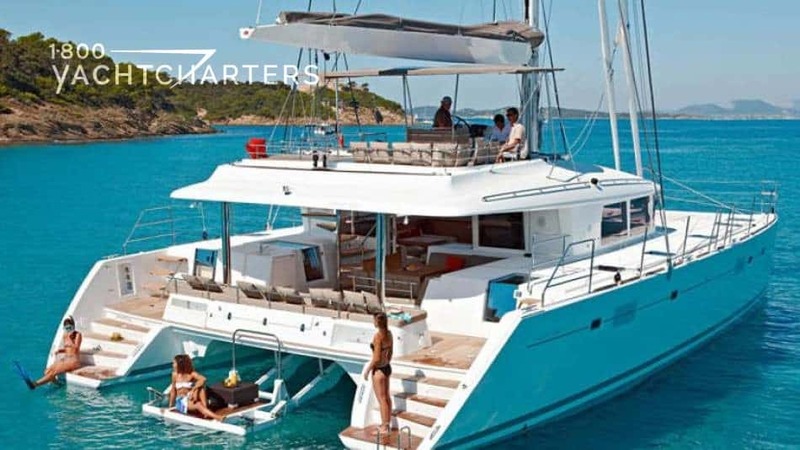 Other catamarans available in the Caribbean this winter include the world’s largest catamaran, the 145′ sail yacht HEMISPHERE, the 75′ sail catamaran LADY ALLIAURA, and the 65′ sail catamaran WORLD’S END.